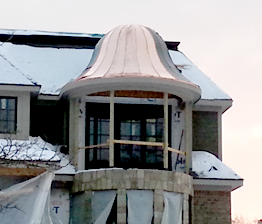 Enhance Your Curb Appeal with Stunning Custom Metal Trim, Gutters, Awnings, and More! What sets us apart from other gutter, roofing, and siding companies is our ability to create custom metal pieces designed to compliment your home. Whether you are looking for unique, customized seamless gutters, a beautiful metal awning for your business, or trim and siding that will help you stand out – we have the solution you need. Not only are our metal pieces one-of-a-kind and beautiful, but they are a highly durable option that can help protect your home and increase its value for years to come. 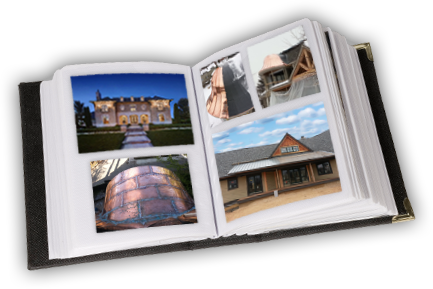 With beautiful copper gutters, aluminum trim, or other custom metal work, your home will be the most stunning on the block. We hand craft your choice of metal specifically for your home, and our professional installation team will make sure you get superior results that last for years with minimal maintenance. At G & M Roofing, Siding & Gutters, we are a fully licensed and insured family-owned roofing company committed to providing high-quality, customized work for homes and businesses. Get started today – contact us today for an honest, accurate estimate for your roofing project. We service Rochester Hills, Auburn Hills, Macomb, Troy, Rochester, and the surrounding areas in Southeast Michigan.